Another set of monthly mixed results for consumer confidence was reported as the Consumer Sentiment Index decreased while the Consumer Confidence Index increased slightly. According to Thomson Reuters and the University of Michigan, the Consumer Sentiment Index fell in August by 3 points from the previous month’s six-year high of 85.1. Meanwhile after declining in July, the Conference Board reported that the Consumer Confidence Index increased slightly by 0.5 points, 0.6%, on a month-over-month seasonally adjusted basis in August to 81.5. 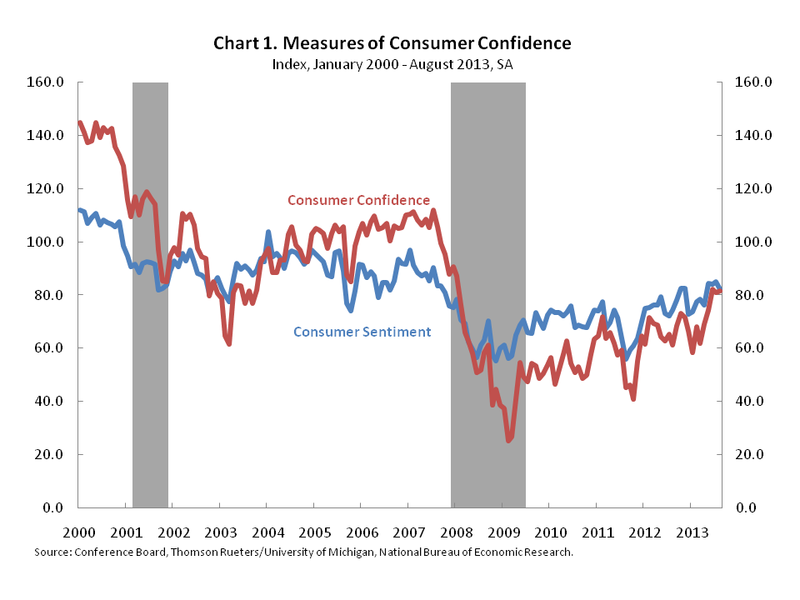 After sustained gains in both indices at the end of 2012 and the start of 2013, both measures of consumer confidence have leveled off in recent months as slow growth continues for employment and the national economy. According to the Conference Board, the share of consumers planning to buy a home in the next 6 months fell slightly in August. The share of consumers planning to buy a home in the next 6 months fell by 0.1 percentage point to 5.8% on a seasonally adjusted 3-month moving average basis. 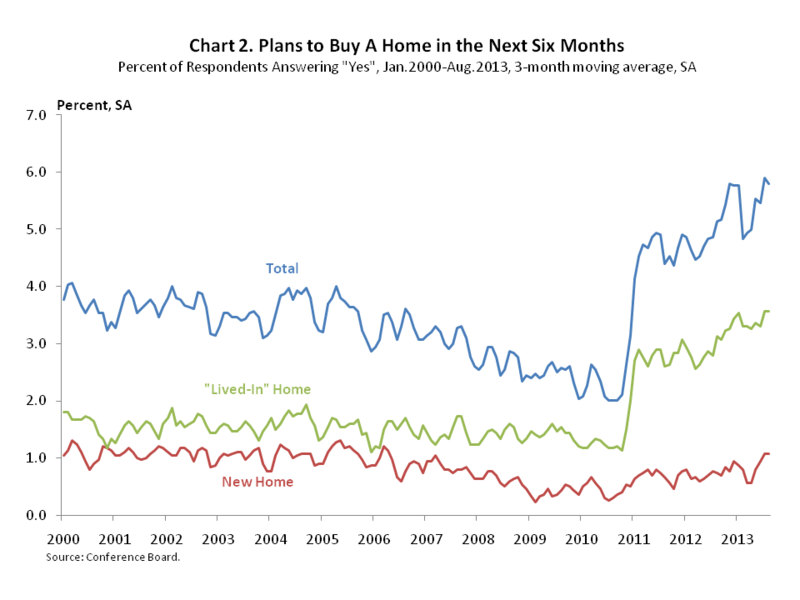 Over this same period, the share of respondents planning to purchase a “lived-in” home was 3.6% and the share of respondents planning to purchase a new home was 1.1%. The leveling off in the share of consumers planning to purchase a new home may capture the effect of increasing mortgage interest rates. In fact, the share of respondents expecting higher interest rates in the next 12 months increased in August by 5.4 percentage points to 66.2% on a seasonally adjusted 3-month moving average basis. 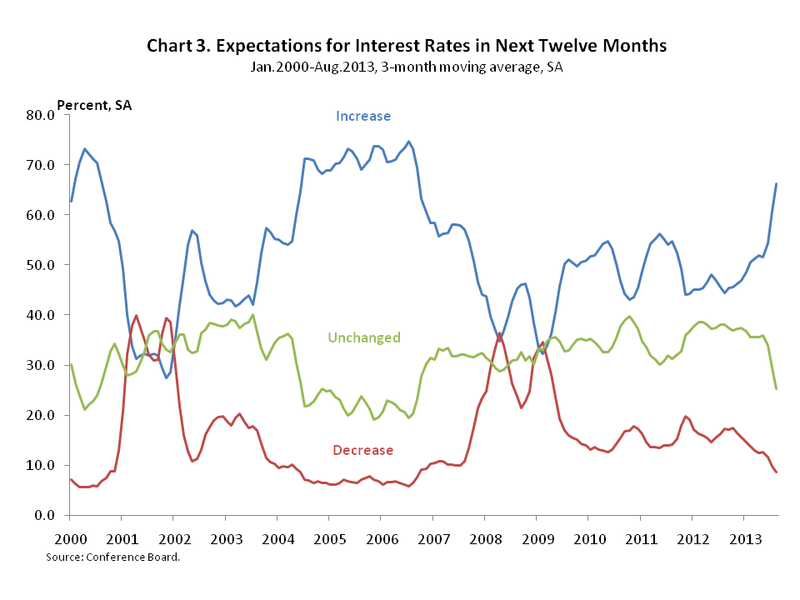 The last time consumer expectations for higher interest rates were this high was September 2006. New home sales have shifted from purchasing completed homes in inventory to purchasing homes still under construction and even homes not-yet-started. The shift is a product of several trends. Eight-in-ten new home buyers already own a home and have often refined their choices to the point where the current inventory does not fit their needs. A completed home does not allow for individual choices in upgrades, finishes and colors. Builders slowed starting new homes and sold inventory to reduce their overhead, often at the lender’s insistence. 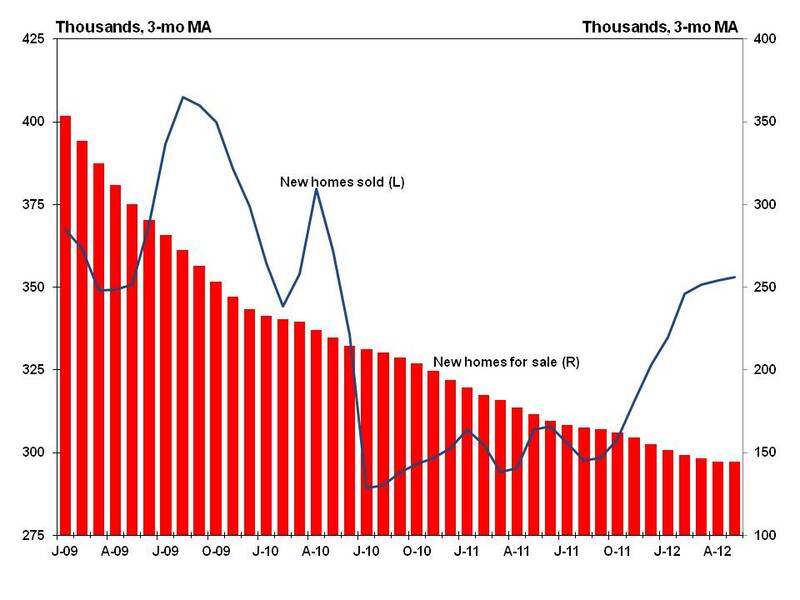 As a result, the number of for sale completed new homes dropped to a 40-year record low in June at 35,000. For comparison, the average from 1993 to 2003 was 2.5 times that level at 89,000. As builders reduced their inventory of completed homes, additional sales had to come from not-yet-started or under construction categories. Builders continue to meet resistance at traditional sources of credit so one way around lenders’ reluctance is to couple the loan application with a signed contract or to have the buyer obtain a construction-to-permanent financing loan based on the purchaser’s credit. The use of construction-to-perm loans has increased from one-fifth of the market in 2010 to one-third in the second quarter 2013. Over the recent cycle, the shift has been dramatic. Completed homes were half the sales in 2008 as sales slowed but inventory kept building. The average since 1963 is 36%; the level reached in 2012 but continued to fall to 29% by mid-2013. 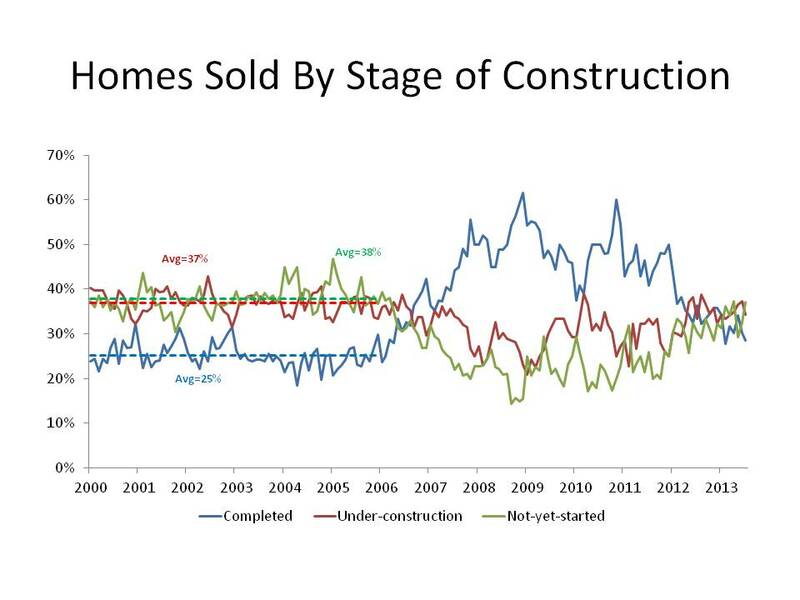 Conversely, homes sold but not-yet-started comprised 21% of the sales in 2008 compared to an historic average of 26%. That share rose to 31% in 2012 and to 37% by mid-2013. Homes under construction comprised less than one-quarter of homes sold in 2008 but now make up more than one-third of sales. The shares of homes sold by state of construction have settled back toward the shares established in the early 2000s but not to the trends in the 1960s and 1970s when the not-yet-started share was less than one-fifth and under construction was at least 40%. 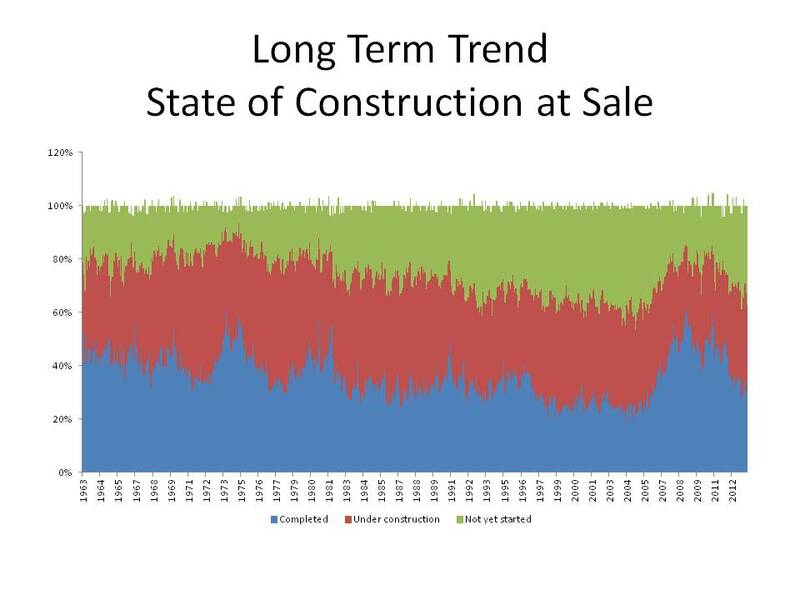 From just after the 1973-75 recession until the boom of the mid-2000s, the share of homes sold that were under construction averaged 38% while the share sold completed took a long term decline from 40% to 25% and that shift was taken up by selling before the home was started. One likely explanation of the long term trend was the rise in concentration of larger building companies that could hold an inventory of models and lots for buyers to choose from without having to risk building ready-to-occupy homes that did not fit buyers’ preferences. In addition, the savings and loan industry where builders traditionally went for construction loans began to tighten underwriting requirements forcing builders to rely on signed contracts for loan security. Those requirements ramped up significantly after the collapse of the S&L industry in the late 1980s. Today’s joint release from the US Census Bureau and the US Department of Housing and Urban Development reports that newly constructed single family homes sold at a seasonally adjusted annual rate of 476,000 in May. This is a 2.1% increase from the pace in April and represents steady progress from the housing bust lows, but sales remain at historic lows and the pace of recovery in single family new construction lags sales of existing units. The inventory of new homes for sale edged up to 161,000 from 157,000 in April, but this level of inventory is still historically low and represents roughly one-third of the units sold, well below the more normal inventory level of half of units sold. 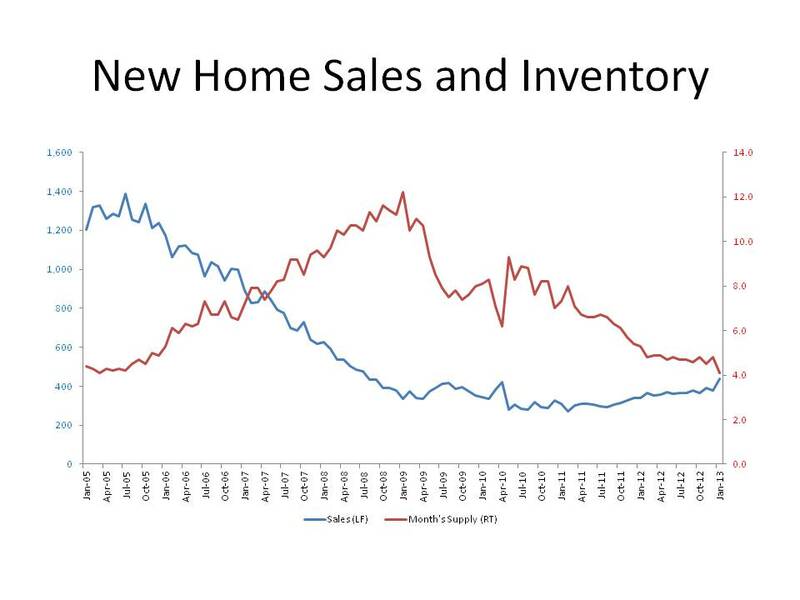 This low level of inventory reflects builder caution as well as ongoing headwinds restraining higher levels of production and sales, including shortages of lots and skilled labor, and access to credit on both the builder and buyer sides. Improving demand and limited supply have been pushing prices higher. The median sales price in May was $263,900, down from April but up from year ago levels. Prices for new homes have now largely regained the losses from the housing bust. 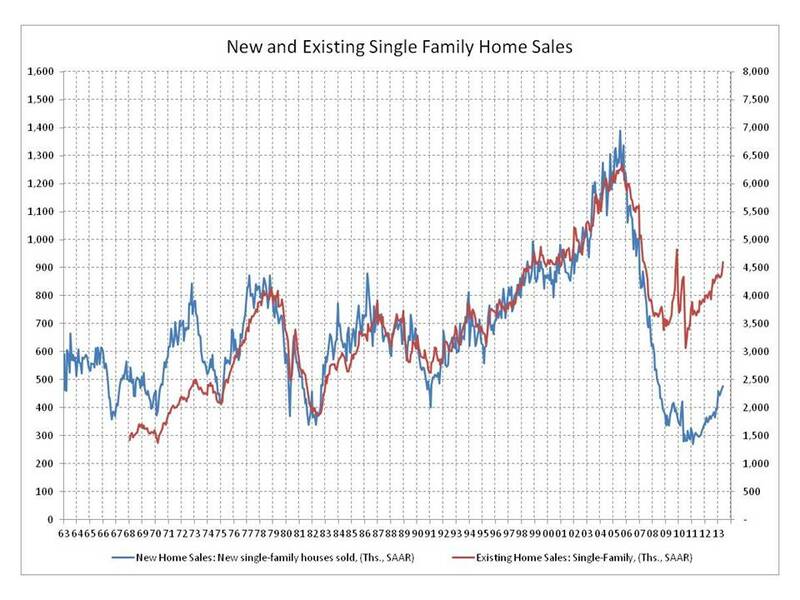 Rising prices for both new and existing homes is a net positive for the housing recovery. Recovering prices will improve conditions for builders, lead to higher inventories of new construction, as well as motivate potential sellers of existing homes to come back into the market. The sale of an existing home is typically a pre-condition for buying a new home. Inventories of both new and existing homes have been inching up in recent months as confidence in the housing recovery builds. We expect this improvement to continue with new home sales passing 500,000 by the end of this year and reaching 700,000 by the end of 2014. New home sales surged forward in January and inventories dipped to their lowest in 8 years as housing demand continues to return. On an annual seasonally-adjusted basis, new homes sold at a 437,000 pace in January, up 15.6% from December and 28.9% from a year ago. The improvement was broad based in all four regions. The surge in sales and already low inventories reduced the month’s supply to 4.1 months, the lowest since March 2005. Sales rebounded in the Northeast from a low in December because of the after-effects of Sandy and also advanced 45% in the West as California and Arizona markets in particular rebound from very low sales levels. Inventory levels remain very low at 150,000 homes and only 43,000 that are completed and ready to be occupied. In a typical year, the current US competed supply would be a normal year’s sale volume in a single large metropolitan area. The path ahead remains steady but still littered with potential diversions. A normal new home sales year is around 800,000 to 900,000 and NAHB expects 2013 to be about half that amount or 448,000. Credit remains tight for home buyers and some home builders; appraisals that rely too heavily on distressed sales come in below the contract price and sales fail; and builders are now facing rising prices for building materials, labor and lots. The future does look better for housing as more indicators remain positive but the recovery will continue at a steady pace and won’t accelerate until 2014. Sales of new single-family homes gained strength in May, after lackluster reports for March and April. The seasonally adjusted annual rate of new home sales increased to 369,000 according to estimates from the Census Bureau and Department of Housing and Urban Development. This represents a nearly 20% improvement for the sales rate year-over-year. Inventories of new home have remained approximately constant throughout 2012, with the number of new homes for sale now totaling 145,000. 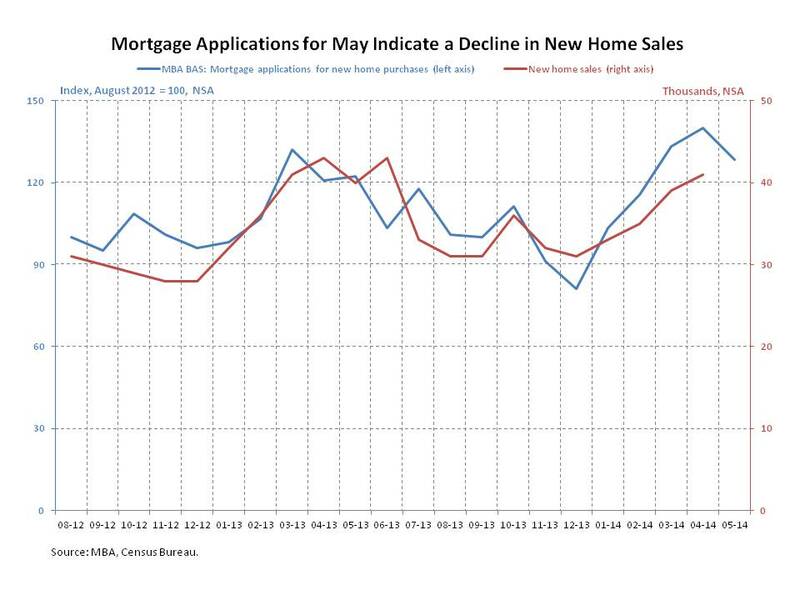 This marks a 4.7 months-supply at the May sales rate, a cycle low and an indication that further increases in new home demand will generate additional home building. Sales of new homes were up solidly in the Northeast and the South, but fairly unchanged in the Midwest and the West. While the report confirms our forecast of steady improvement for the home building sector in 2012, it is important to keep in mind that the current sales rate remains low by historical levels. As housing demand grows, home building will be constrained by challenges related to credit availability for builders and faulty appraisals. 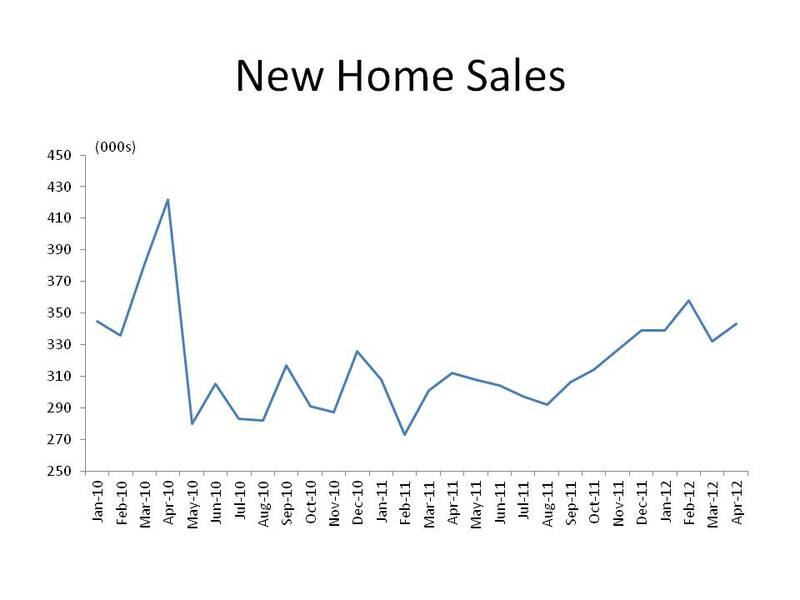 April new home sales increased 3.3% from a revised March level. Except for the revised February figure, the April sales level of 343,000 was the highest since the end of the home buyer tax credit in spring 2010. In addition, the revisions added another 22,000 sales to the first quarter average. Inventories remained low and the increase in sales reduced the months of supply to 5.1 months, which together with the revised February level are the lowest levels since the end of the boom in late 2005. The only region that did not gain was the South, which dropped 10.6% or 21,000 sales. The other three regions collectively are smaller than the South so their increase was all the more remarkable to offset the fall in the south. The South was the only region to experience an increase in March so some of the decline may have been an adjustment. Median sales prices increased 4.9% and average prices increased 6.3% year over year. The increase is more likely to be a reflection of composition change including some shift in sales to more expensive West and Northeast regions. The share of homes sold for over $400,000 increased from 15% in the first quarter to 17% in April. The modest increase in April is a prelude to the same gradual forward movement we should see through 2012 as the economy gains ground, employment continues to increase and consumer confidence improves. NAHB forecasts total new home sales for 2012 at 361,000.